Earlier this week we stopped by Vasuma‘s awesome head office and showroom in Old Town, Stockholm. Cute Boy Band Photo: Vasuma Inc.
Vasuma Inc. is a Stockholm based brand founded by the cool guys Jan Vana, Steffen Sundström and Lars Malmsten. In 2007 they had their first eyewear line. Their eyewear collection, which has both optical and sun frames, is unisex, young, large and cool. Fun fact: The English bullies’ favorite phrase “Four eyes” is “Eyewear snake” (Glasögonorm) to the Swedish bullies’. Therefore all of Vasuma’s frames are named after snakes. This is the eyewear snakes getting their revenge! At Vasuma’s office we talked about the process of making a frame. There are many steps to reach the final product. As for any product to hold great quality, fit, style all of the steps have to work smothly. Some of our favorite Vasuma frames. Vasuma is pretty new in eyewear but has already managed to establish their style and quality. 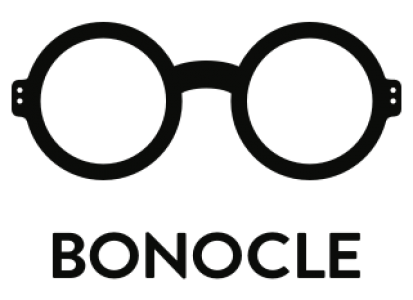 This spring they’ll be at Mido for their first time and Bonocle wishes Vasuma all the best!